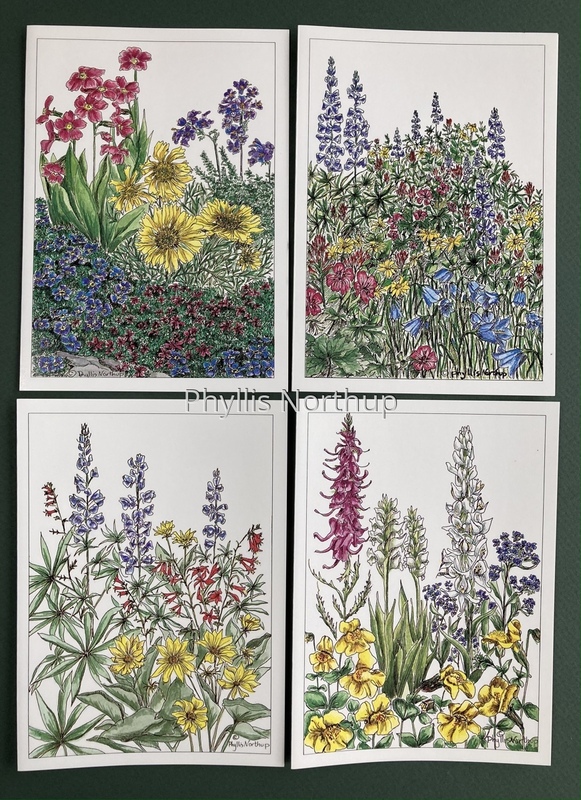 These note cards are printed from original pen and ink and watercolor images that portray groupings of wildflowers by plant communities. Interpretation on the back identifies the wildflowers shown and gives basic information about the four plant communities represented. Each 8 card set contains two each of alpine, forest and mountainside, dry land and wetland.